The funny thing about social networks is that they are an oxymoron as ever there was one: They are totally unsocial because you communicate with a machine, not real people and therefore cut yourself off from interaction with the real world. And many of them no longer function as structures where communication works in two directions – between yourself and your partners. Social networks are becoming one-way channels for powerful advertisers while you turn into a helpless recipient, or an outlet for weirdos dumping their personal trash. But the good news is that this is why we are here on Classeek, and yes, I do have a facebook page, and I am on linkedin and twitter. Social networks are wonderful means of learning new things and keeping in touch, especially for those whose friends and families are far away. Naturally, this applies to musicians who have different working hours from most people, who travel and need to be alone a lot. Or to keep updated with what their artistic and business partners all over the world are doing. Or maybe you are a music student on a distant continent and would like to keep in touch with what goes on in, say, Europe. But please remember to partake of the real world from time to time: go and talk to real people, give someone a call to hear their voice, go outside and look at the wonders of nature, take a book or a real score into your hands (have you ever touched an 18th century manuscript? Have you ever seen Bach’s, Mozart’s and Beethoven’s handwriting?? NOT in the internet but in the British Library, for instance). Use the social networks, by all means, but do not clog them up with millions of holiday photos and the croissants you are just having for breakfast. 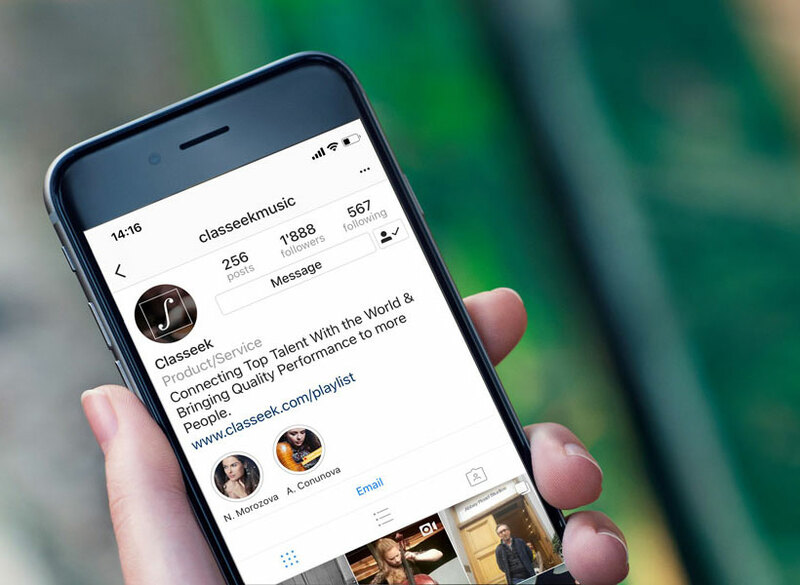 Or at least decide which network you use for what: Instagram for croissants, Classeek for your music! Most people have no time and patience… are you actually still reading this…? You see! Nowadays, we want to be sure to find the information we are looking for quickly!